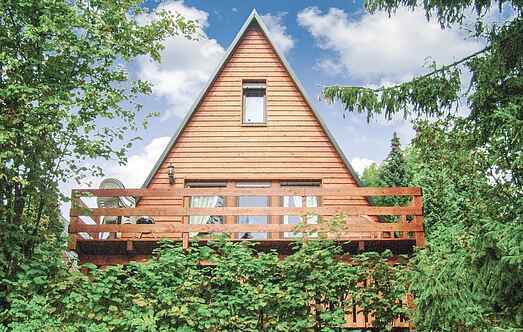 Find a vacation home to rent in Upper Franconia from our list of vacation rental properties. Campaya has over 7 vacation homes available in Upper Franconia, which give you the possibility to locate a unique accommodation in Upper Franconia which completes your check-list in search for the perfect self catering vacation apartments in Upper Franconia or vacation villas in Upper Franconia. Beautifully furnished small huts are located in the leisure park Obere Saale. Three levels lead you to the front door. A space-saving staircase leads you to the bedrooms upstairs.